High-traffic businesses have many options when it comes to specifying flooring for a new business or replacement flooring for an existing business. Popular choices include: hardwoods, laminates, luxury vinyl, linoleum, and eco floorings. Lightweight – Thin and lightweight, acrylic infused hardwood flooring from Nydree Flooring is safe to use as attractive cladding on walls and ceilings. Design Versatility – Due to its strength and thinness acrylic-infused hardwood flooring can be beveled or mitered to achieve the design effect you desire. 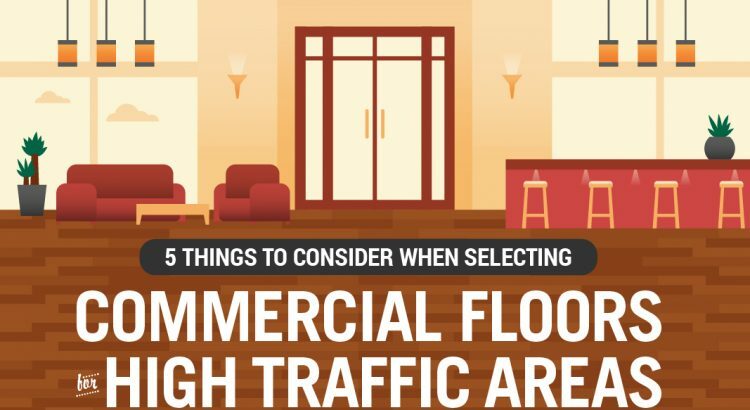 The helpful infographic below from Nydree Flooring illustrates the “5 Things You Need to Consider When Selecting Commercial Hardwood Flooring for High-Traffic Areas.” Learn why acrylic-infused hardwood flooring is a solid investment that will pay dividends for years to come.